In accordance with the requirements of Title II of the Americans with Disabilities Act of 1990, the City of Sonoma (City) will not discriminate against qualified individuals with disabilities on the basis of disability in the City’s services, programs, or activities. Effective Communication: The City will generally, upon request, provide appropriate aids and services leading to effective communication for qualified persons with disabilities so they can participate equally in the City’s programs, services, and activities, including assistive listening devices, qualified sign language interpreters, documents in large type or Braille, and other ways of making information and communications accessible to people who have speech, hearing, or vision impairments. Anyone who requires an auxiliary aid or service for effective communication, or a modification of policies or procedures to participate in a City program, service, or activity, should contact the Office of the City Manager as soon as possible, but no later than 48 hours before the scheduled event. 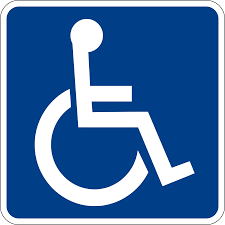 Complaints: Complaints that a program, service, or activity of City of Sonoma is not accessible to persons with disabilities should be directed to the City Manager, who can be reached by phone, fax, or by email, or by postal mail at #1 The Plaza, Sonoma CA 95476. You may also submit a request or complaint using our online issue reporting form. Alternative means of filing complaints, such as personal interviews or a tape recording of the complaint, will be made available for persons with disabilities upon request. The City Manager or designee will review the complaint, meet with the complainant if necessary, and respond within a reasonable time period. The objective of this review will be to reach a prompt and equitable resolution of the complaint. The State of California has enacted Title 24 (Chapter 11 of the State Building Code) which requires all construction to comply with ADA guidelines. Questions regarding applicability of the codes to private construction projects and publicly funded projects may be referred to the City's Building Department.